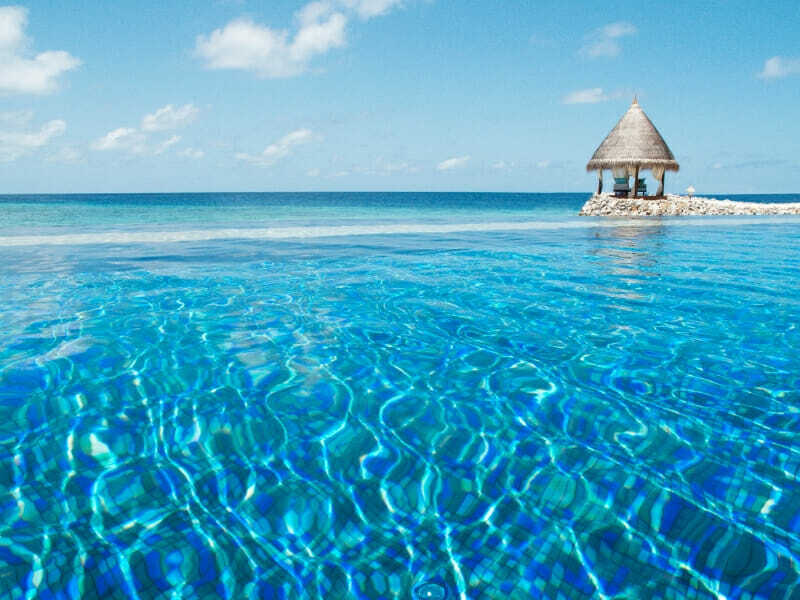 Spend 5 nights in an elegantly styled superior beach villa at the Taj Coral Resort & Spa. This spacious villa can accommodate up to 3 guest and is decorated with with soothing pastel interiors and thatched roofing, facing the vast sea. Enjoy modern amenities, an outdoor living space with a day bed and a stocked mini-bar for ultimate luxury and relaxation. 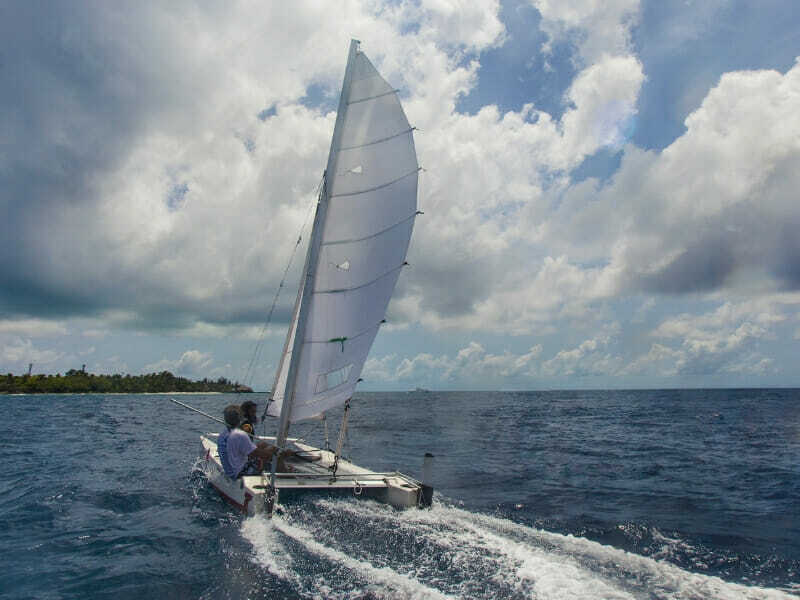 With this exclusive My Maldives holiday package you won’t have to worry about a thing, with Breakfast, Lunch, Dinner and Selected Beverages included daily! 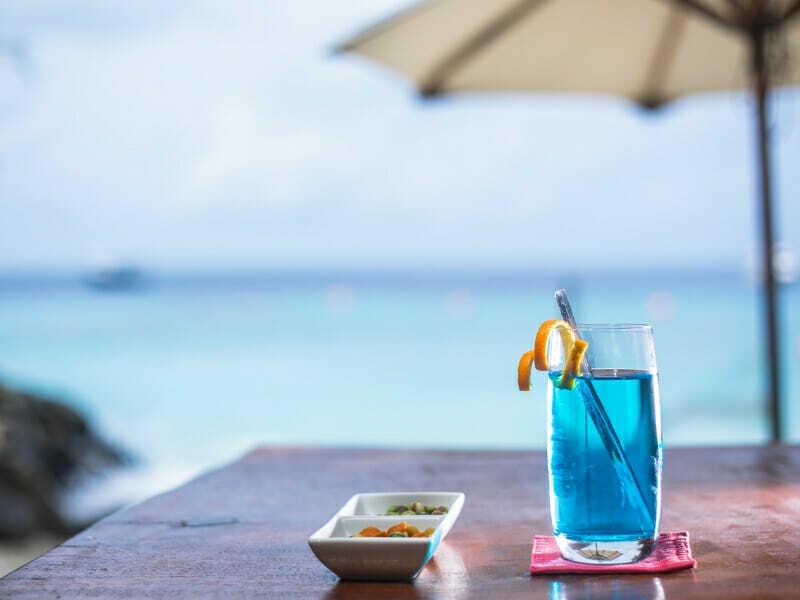 This luxury holiday package includes cocktails, mocktails, well liquor, wine, beer, soft drinks, water and canned juices for the ultimate indulgence! Guests can also enjoy 1 cocktail per person during their stay at Reef Bar! Two guests can relax and unwind with a 45-minute couples spa treatment. Using ingredients derived from the natural Maldivian environment, the spa’s therapists harness the healing power to rest and renew you. 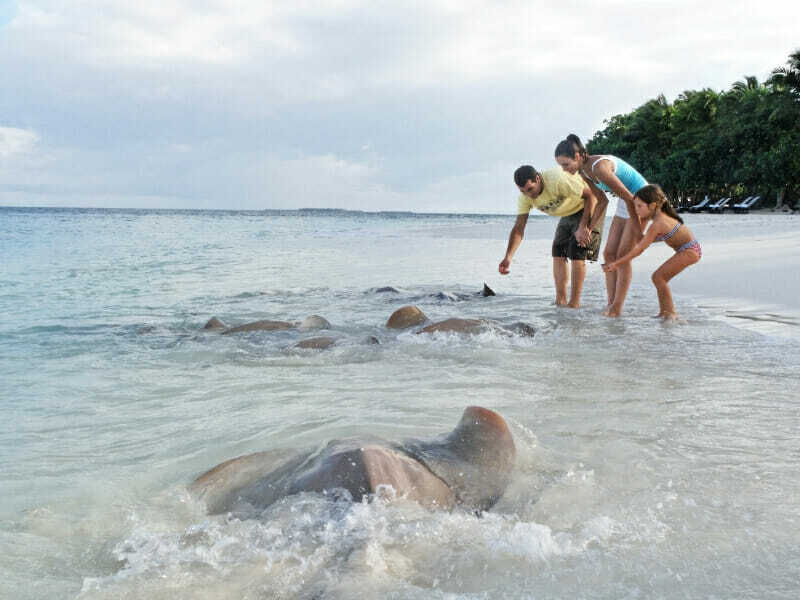 Deluxe Beach Villa – UPGRADE from $100 per person! Enjoy this spacious and well-ventilated villa that features a serene and coastal ambience, top-quality furniture and an outdoor deck with dining area. Get a good night’s sleep on a King-size bed and wake up to breathtaking views of the ocean. 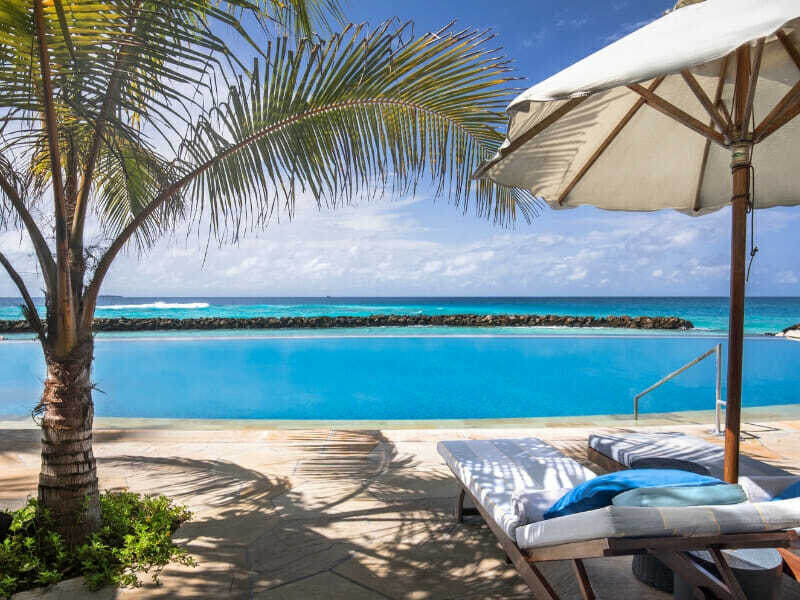 This luxurious villa is also furnished with a 32” LCD TV with home theatre system, an iPod docking station, a fully-stocked minibar and a glass-enclosed shower area. This 66sq. metre room accommodates up to 4 guests. For maximum comfort, extra beds can be provided with additional cost. In addition, housekeeping and evening turndown services are done daily. 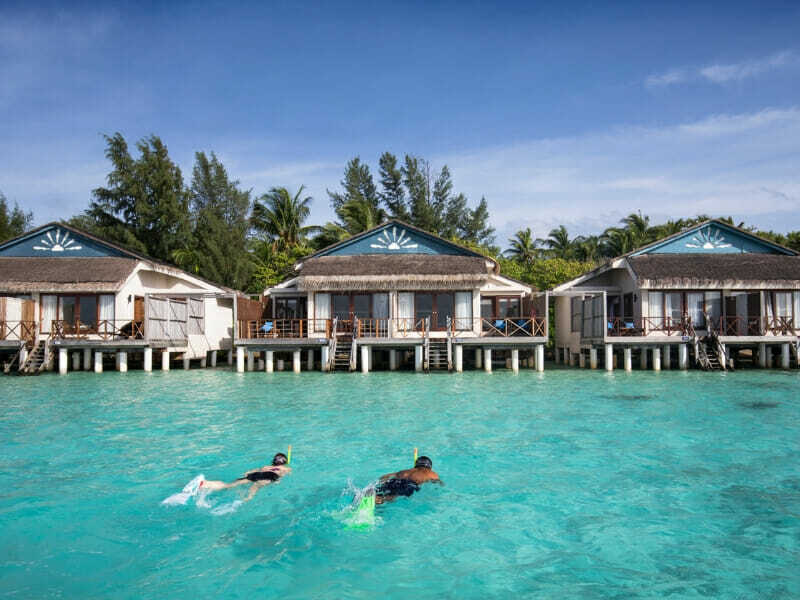 Premium Water Villa – UPGRADE from $700 per person! 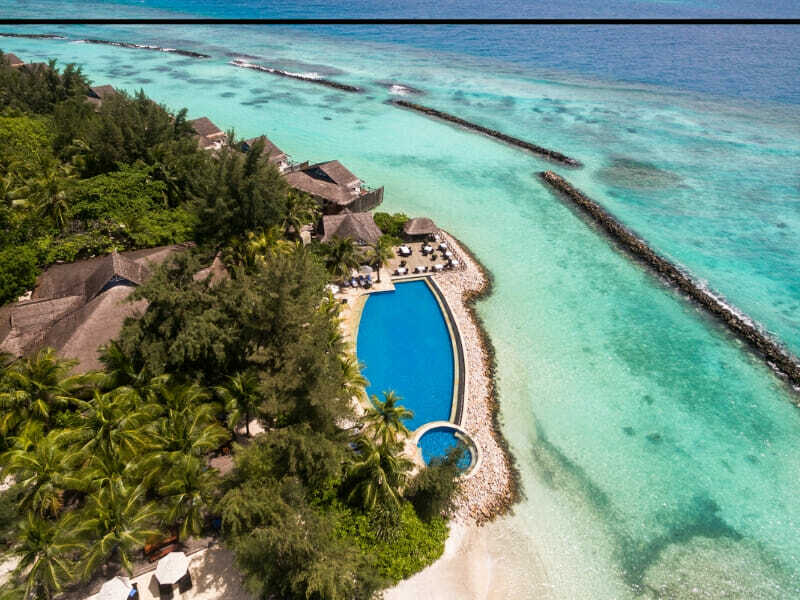 Located on Hembadhu Island, Taj Coral Reef offers elegant and fully-furnished villas with picturesque views of the Indian Ocean. Each villa has an outdoor deck where you can enjoy lots of sunshine and daydream to your heart’s content. 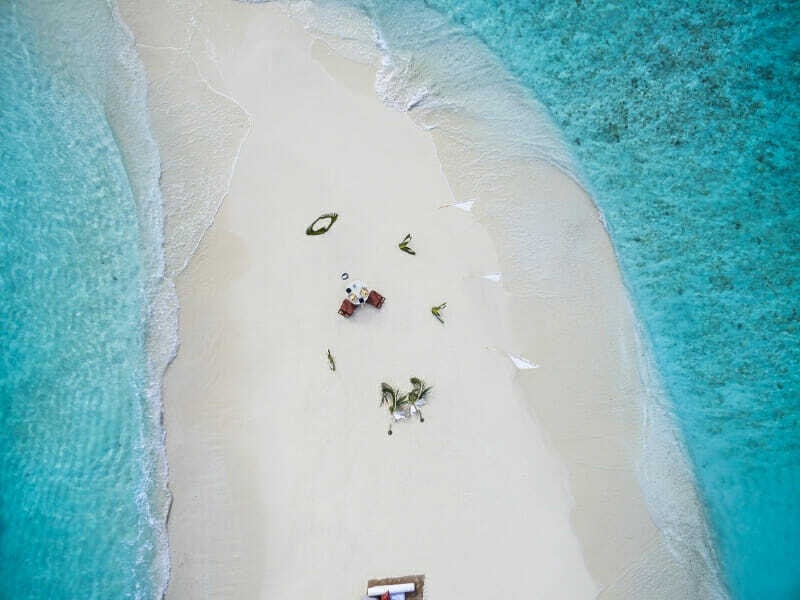 This 5-star property also features an array of dining options, an indulgent pool and spa as well as a PADI-certified ocean dive centre, among other upscale facilities. 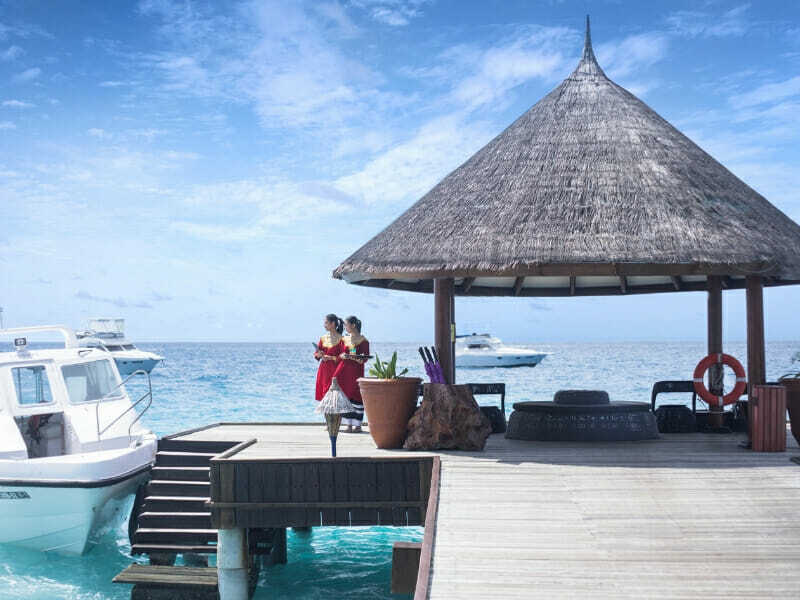 The resort gives you the freedom, tranquillity and most exciting island experiences that you need to make the most of your holiday.
. Read more about Taj Coral Resort & Spa Maldives here!